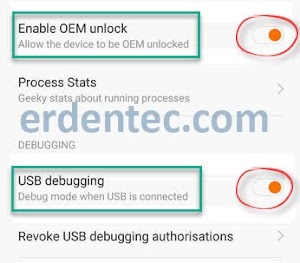 You can Root Samsung Galaxy SM-G532F/G/M/DS Model with the method that we show below. 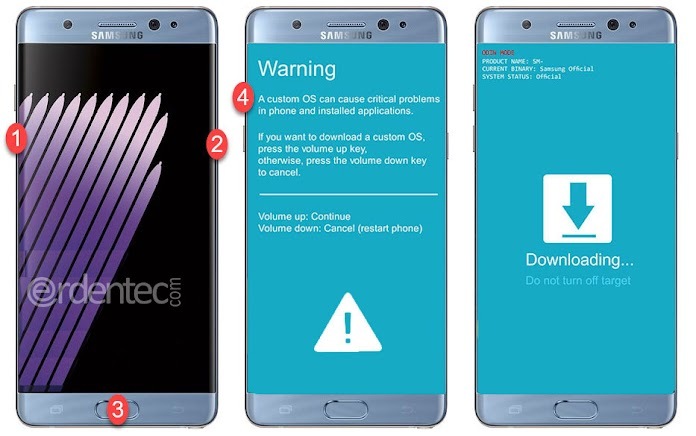 WARNING: Before starting this process, make sure to back up user data like phonebook, applications, internal storage etc. since it is going to remove all of your data in your phone. Also, some of the applications may not work, it will end your phone’s warranty. You accept the responsibility for all of the possible consequences. Firstly, you need to download the tools. Install Samsung Mobile USB Drive to your computer. Unzip Odin3 program to your desktop. Leave TWRP.img.tar file that you have downloaded on your desktop. Transfer the UPDATE-SuperSU-v2.82.zip file to the phone’s internal storage location. Step 1: Open Developer Options. Go to Settings > About Device > Software Information to enable Developer Options. Step 2: Unzip “Odin.zip” folder that you have downloaded to your desktop. Make sure that TWRP files with .tar and .md5 extensions on desktop. Also, you need to be sure that these TWRP files that you have downloaded are compatible with your device’s model. After running Odin3.exe, click on “AP” button. Here, select SM-G532-TWRP.tar file. Step 3: Shut down your phone completely by holding power button. Then, press and hold on Volume Down + Home + Power buttons at the same time until Download Mode is started. When Download mode starts, press on Volume Up button once. 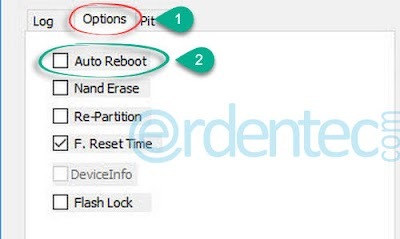 Step 4: IMPORTANT POINT: Before clicking on Start button, you need to disable Auto Reboot option on Odin. To do this, get to Options tab on Odin and disable “Auto-Reboot” option. If you don’t apply this change, then your device will get stuck on loading screen. Step 5: Then, connect your phone to computer through USB Cable. You will see ID:COM point becoming BLUE on Odin. After ID:COM point becomes BLUE, then click on “Start” button to start the installation process. Step 6: When TWRP installation is over, you will see PASS notification on Odin. At this point, you should unplug your phone from USB and activate TWRP Recovery Mode. 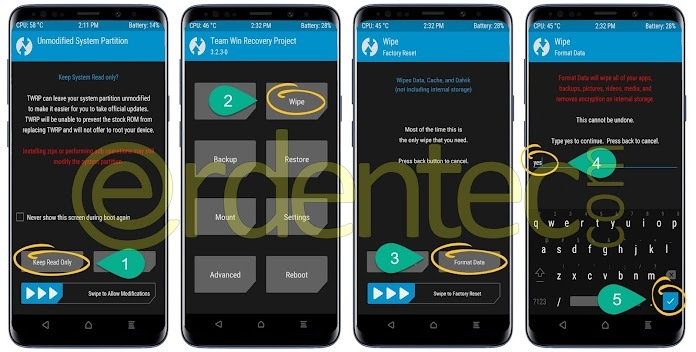 To activate TWRP Mode, press and hold Volume Up + Home + Power buttons and release them when you see “SAMSUNG” on your screen. TWRP mode is active now. Step 7: When the device is in TWRP Mode, you should click on Keep Read Only button. Then, click on Wipe and Format Data buttons. Type or click on YES and press on Blue ENTER button. 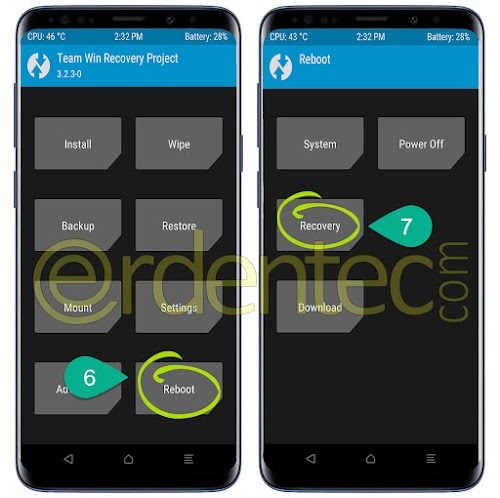 After that, go back to TWRP main page and click on Reboot > Recovery buttons respectively. Step 8: It will restart your phone in TWRP mode. At this point, you should connect your phone through USB Cable again. Then, click on Keep Read Only button. You will see phone’s storage on your computer. 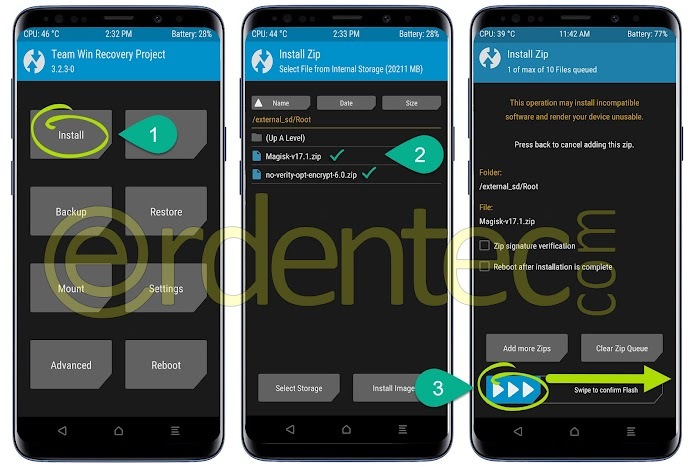 Find UPDATE-SuperSU-v2.82.zip, no-verity-no-encrypt_ashyx.zip files that you have already download and transfer them into phone’s internal storage. Step 9: At this point, you should click on Install button while you are on the TWRP main page. Later, select UPDATE-SuperSU-v2.82.zip and no-verity-no-encrypt_ashyx.zip file and swipe “Swipe to Install” button to right side. Step 10: Press on the home button to get back to TWRP main page. Click on Reboot > System buttons respectively. Your rooted phone will start afterwards. 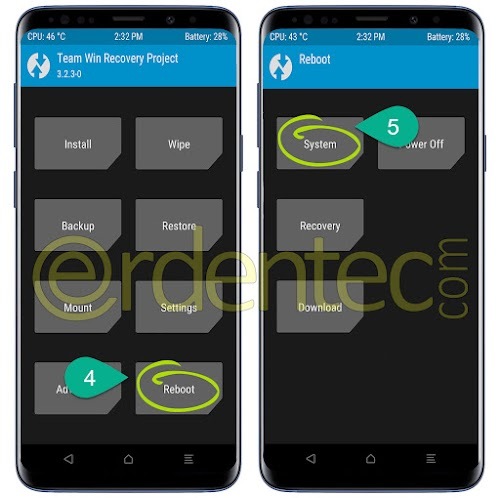 ROOT Samsung Galaxy SM-G532 and Install TWRP processes are over. Congratulations! You can vote on this post.